What you see here is a shmooze between Reb Zalman Leib of Satmar and Reb Mechel Zilber, Maggid shiur extraordinaire, recently. Reb Mechel does most of the talking here, with the "MASHBA"K Reb Shmiel Teitelbaum" coming in second. Reb Zalman is שומע ואינו עונה for the most part... The Aronim made a big deal of it because somewhere else he (RZLT) said something about R' Shach not being a "faker..." And they had a very good time at his expense. But what they failed to point out, and maybe because they'd do the same thing, is the censorship that happened here! They misrepresent Reb Mechel and take words out of his mouth. If you listen closely to the recording provided here, at around 5 minutes in you'll see what I mean. And if you look closely you'll see that the written transcript makes no sense without the words that were taken out. "האט אין דעם שמועס געפרעגט (די) ליובאוויטשער", is what Reb Mechel said, and what they wrote was "האב איך דעם שמועס געפרעגט" which makes zero sense if you think about it for a second. He could've been a bit more respectful, Reb Mechel could, but that's asking for too much I guess. אבער ווי ערשטוינט בין איך געווען צו זעהן אין רבינ'ס ספר "דברי יואל" אין פרשת מסעי ווי ער זאגט עפעס אינגאנצען אנדערש! און אז איך וואלט עס נישט אליין געזעהן שווארץ אויף ווייס וואלט איך געמיינט אז ס'איז אן ארטיקל פון אן אגודיסטישע חבר כנסת המינים וועלכע וויל פארטיידיגן די וואס נעמען פון טמא'נע געלטער. ס'טייטש אז מ'זאגט אז ס'איז בעסער אז די געלט זאל גיין צו צדיקים און לומדי תורה ווי איידער ס'זאל בלייבען ביי די פושעים?! דאס איז דאך ממש ממש די שפראך פון די אגודאים וועלכע זאגען אז ס'איז בעסער אז די טריפה'נע מדינה זאל געבן געלט פאר ישיבות און חינוך החרדי ווי ענדערש פאר דברי שחץ וכפירה. ער זאגט דא זייער קלאר אז פון אחאב'ס קיך האט מען געגעבן צו עסן פאר אליהו הנביא, (ער ברענגט עס, נישט ער זאגט עס) און ער זאגט ווייטער אז דאס האט גורם געווען אז אחאב זאל חוזר בתשובה זיין, און ער דערמאנט אינגאנצען נישט די כלל פון "כח הפועל", איז פארוואס איז דער כלל פון כח הפועל נאר נוגע ווען עס קומט צו ציונים, איז אחאב געווען ווייניגער רשע ווי בן-גוריון און לוי אשכול, האט מען נישט געקענט מחזיר זיין די ציונים דורך נעמען זייערע געלטער און בויען תורה און אידישקייט דערמיט? Geography is important here for several reasons. 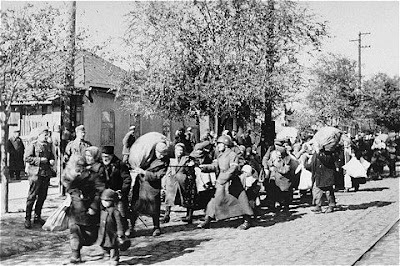 Bukovina was a wasteland by that time, as far as Yiddishkeit was concerned. The youth was going downhill fast. 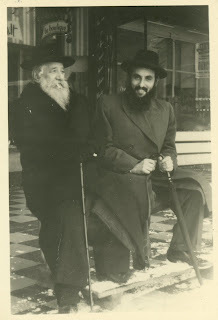 His own father, the Rebbe der Ahavas Yisrool left Vizhnitz, Bukovina during WW1 never to return. He said he couldn't bear to watch the youth go astray. He said he did it to save his own children... Not every bachur went to Yeshiva in those parts, not by a long shot, so any one that would come and learn for a half day was a big deal already. The fact that he worked for half a day and was taught by a G-d fearing Jew was a bonus, they were saving lives by having such a Yeshiva. These boys were also needed at home, to work in the fields or to do other work so to help feed the rest of the family, who might have otherwise starved. 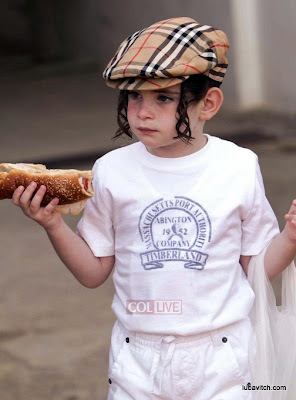 (Not that today is any different - many families would do alot better if the older boys went to work and helped with the bills, especially some of the boys who are wasting their time in Yeshivos... There, I go again, destroying my own point...) So to compare Bukovina, 1938 to Flatbush, 2009 may be a bit disingenuous. Or at least that's what they'll have you believe. The "time period" difference that we mentioned can be closely related to the "geography" issue, being that the time period has lots to do with the geography... The geography of Bukovina is what - you might say - made Bukovina into what it became, a place of Haskoloh and the abandonment of traditional Judaism en masse. Bukovina was not always that way, it boasted many great Tzaddikim and Rabbonim just a short time earlier, but the time period of post-WW1 was what destroyed it, much like in Poland, Lithuania and Russia. Then there's the personality issue. The Sereter Rebbe was a gutter Yid who built Torah and made - or at least kept - hundreds of families into Shomrei Shabbos and Chassidishe Yidden. This was the case in Eretz Yisroel after WW2, and I'm sure he had done that in Bukovina, despite the fact that he didn't have all the mosdos that he ultimately built in Haifa. There was a nucleus in Seret that stayed frum despite all the hardships. Such a personality, with such Zchus Avos, has a very strong leg to stand on, no matter how revolutionary the idea that he proposes; (unless, of course, you're a Lubavitcher Rebbe...) So if the Sereter Rebbe wants to start a trade school and teach Bocherim how to earn a living, then so be it.But it's not just about the Sereter Rebbe. In Seret there was no Rosh Yeshiva who decided that he was the רשכבה"ג and that all must heed his words, like there was in Bnei Beraq. Heck, there wasn't even one in Vilna, Mir or Slabodka for that matter. 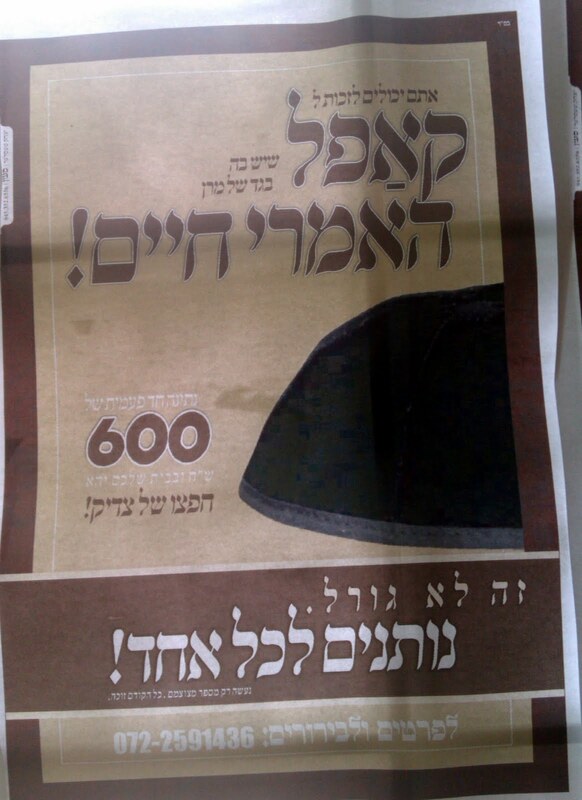 All those Roshei Yeshiva, may they rest in peace, were concerned about their own talmidim and their own problems! So had Dr. Lander done this in Europe chances are that there would be little or no opposition to his school, not that the opposition accomplished much anyway. The place is packed with Chassidishe and Yeshivishe yungeleit and girls, and Lakewood even set one up in a nearby town... So there you have my 2 cents. But in the end it didn't matter much. 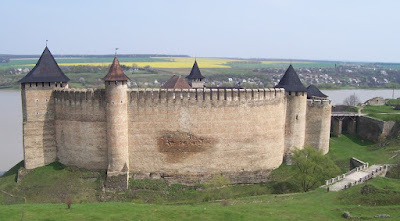 Even if you had a parnosoh you were rounded up and sent to Transnistria and may have died on one of the Death Trains. Or if you were so lucky, you survived the trains but died later in some death camp... All Jews shared the same fate, no matter your level of observance, and no matter if you stayed away from Torah im Derech Eretz. The Bukoviner and Bessaraber Yidden may have borne the brunt of it all; their culture was totally wiped out, even more so than the Polish and Litvish. At least with the P&Ls the Hungarians rekindled that culture to the best of their abilities (where Litvishe are concerned) and some remnants of Poylishe Judentum remained, mostly from pre-war aliyah. But with the Bessaraber and Bukoviner it's GONE! Well, there was a quasi-renewal after the fall of the Soviet Union, when you could once again hear from an old man how he "iz illemoo'el gegunnen koyfen mutzes in peysikh," and how "er hut ul ding voos er durf..." So was the will of Hashem. I hope the point was made. New Blog Design - you like? What do you think? Do you like the header, the whole thing? both? let us know. I had to change the whole design just to be able to upload the picture for the new header. No. There are no subliminal messages in the picture. I would've liked to keep the old design. It's simple and easy to maneuver, but all good things must come to an end, they say. I also cannot figure out how to transplant things like the e-mail, Facebook and Twitter widgets, as well as some of the other banners that I had. It gives me all kinds of error messages. It'll take a little bit of time until we finalize the look. Please take a moment to vote in the poll on the right, it'll take about 5 seconds, no more. It's the least you can do! For over sixty years now, since that fateful day in 1944, when a train carrying over sixteen hundred Jews crossed the border to Switzerland, there has been a raging debate as to how this rare occurrence of Jews being allowed to get to the free world – let alone on a German-sanctioned train – was possible, and what was the behind the scenes story of the rescue. One of the main reasons for the intensity of the debate is the fact that the train – now famously known as the Kastner train – had one passenger by the name of Joel Teitelbaum, the famous Satmar Rebbe. Rabbi Joel (henceforward referred to as “the Rebbe”) was famous as a staunch opponent of the state of Israel, because of its Zionist ideology - religious Zionism or otherwise. For all his life he led a major battle against it, and everything related to it in any way. He saw Zionism as the biggest obstacle to the Jewish people, and even said that it stood in the way of the Jewish nation’s ultimate redemption, the coming of Moshiach (the Messiah). How ironic is that, the leader of Anti-Zionist Judaism after WWII – the Rebbe – was rescued by a train “The Kastner Train”, named after Rudolf Kastner, the man who made the train possible. This man was the leader of the “the Aid and Rescue Committee," the "Va'ada”, the then defacto “Zionist” Aid and Rescue organization in occupied Budapest. Some even went as far as demanding that the Rebbe drop his opposition to Zionism - or at least tone it down significantly - out of appreciation for his rescue through Zionist hands. And it goes even deeper: according to some sources the Rebbe was supposedly asked after the war to testify in the “Kastner trial,” on behalf of Kastner, (the trial was a libel sued by the State of Israel against one Malchiel Gruenwald, for his claim that Rudolf Kastner – at the time of the trial a Government official – collaborated with the Nazis during the war under the disguise of rescue, in the “the Aid and Rescue Committee”). 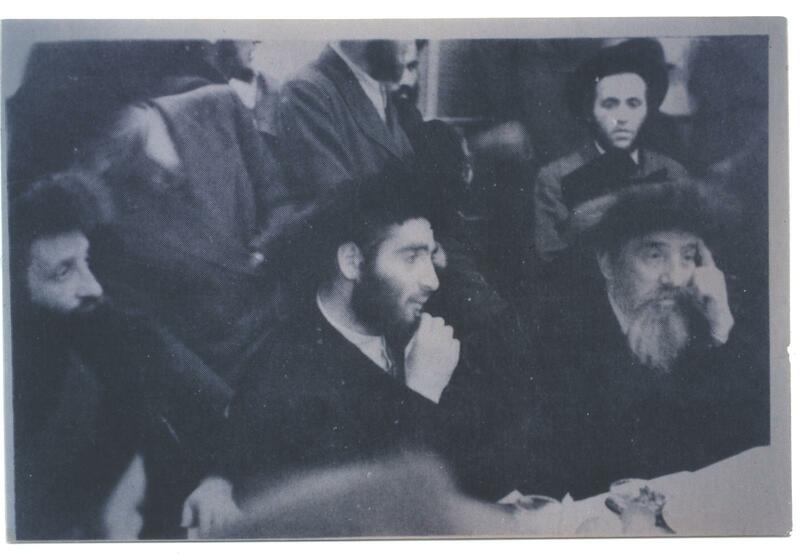 The Rebbe refused to testify. This deepens the controversy: how ungrateful and unappreciative is it, to not help someone who helped you, when you needed it so desperately! 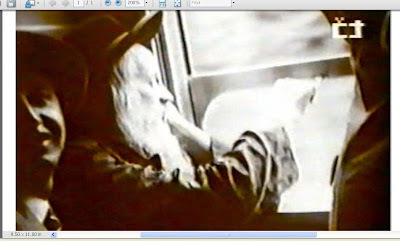 So even before we examine the history, the facts on the ground, to what transpired at the time of the train being let go, a few points have to be made: As to the claim of unappreciative behavior by the Rebbe, by refusing to testify at the trial, even if all stated above – about the rescue being made possible by Kastner – was one hundred percent true, there is a lot to say as to the obligation of the Rebbe (or any Jew for that matter) to testify positively and defend Kastner’s claim. I don’t want to go into much detail, but the story around Kastner and his deeds during and after the war, are far from black and white. There is even a possibility that the Rebbe, by not testifying “against” Kastner, for the Gruenwald side, showed much more appreciation then Kastner himself could’ve asked for. I wish to leave this issue here, in order not to open a big can of worms on Kastner, his deeds, and personality. The second point is more a Torah point of view: it’s the belief of every religious Jew (at least as far as the “Rebbe kind of people” are concerned) that the Torah is the divine word of G-d, and cannot be changed in any way, shape or form, for any reason whatsoever, no matter of the feelings or circumstance one finds himself in. So again - even if it’s true that the rescue was made possible by Kastner - to say that the Rebbe should change his Beliefs on Zionism - a movement which was in his eyes fundamentally against the very pillars of Jewish Belief - the Diaspora and eventual gathering, exile and eventual redemption - because it so happened that he was rescued by Zionists, is absurd at best. just as any of the twelve hundred or so, who were rescued by Oskar Schindler, shouldn’t have to convert to Catholicism, just because Schindler was a Catholic, (even if his rescue would’ve been orchestrated with the help of the Church – and the church actually rescued kids, and are still fiercely condemned for those they never returned to Judaism). 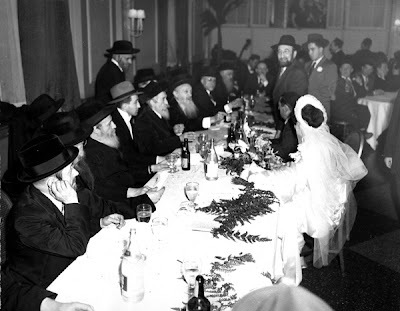 Zionism was in the Rebbe’s belief-system, a conversion away from Judaism, to a different religion, a political movement born near the turn of the 20th century. A turn in its direction shouldn’t be tolerated in any fashion, for any reason whatsoever. Who rescued the Rebbe? Who made the rescue possible? And who really earns the appreciation for the rescue, so many want to show toward Kastner and the Zionists? In order to answer these questions, we have to go back a little earlier in history, to the beginning of WWII. Of course, the suffering of the Jews didn’t start in 1944, when the rescue of the train occurred! It started as early as 1939 in some places. In Slovakia, the deportations started in March of 1942, and continued until the summer of that year. During this time, a group of Jews working under the name “The Working Group” (henceforward referred to as the “WG”), tried to stop the Slovak deportations, and to do whatever else was possible to save the remaining Jews. This group consisted of a couple of Jews (of which the last one, Andre Steiner, died recently at the age of over 100) and was headed by Rabbi Michael Dov Weissmandel (henceforward referred to as “RMD”) and his cousin, Mrs. Gisi Fleischmann. In order to stop the deportation - after a considerable effort - they made contact with Dieter Wisliceny, the person responsible for the deportations of Slovak Jewry, and through a bribe of a huge sum of money, and several other things, like bribing other officials, and pressuring the non-Jewish religious hierarchy in Slovakia, they succeeded in stopping the Slovak deportations almost until the end of the war. The success of the Slovak rescue, gave the group fresh appetite to try and extend the rescue to all of Europe. This was a much bigger undertaking than the Slovak rescue. Whereas the Slovak rescue was done for the relative small amount of $50,000, and it involved some 30,000 Jews to be rescued, the broader “Europa Plan” involved millions of dollars, and a million Jews. The negotiations started in late 1942, and went back and forth. Although the down payment of $200,000 couldn’t be realized, the negotiations still continued in Slovakia until 1944, (what transpired during this time is a long story. The required attention to discuss it in length is beyond the realm of this article). In 1943 Wisliceny was transferred from Slovakia to Greece, and in 1944 he arrived in Hungary. Like in Slovakia he came to Hungary to work with Adolf Eichmann. Before his transfer out of Slovakia, he asked RMD how the negotiations will continue after he leaves to Hungary. RMD gave him a letter in his personal handwriting to be given to Rabbi Pinchas Freudiger, (henceforward referred to as “Freudiger”) head of the orthodox Jewish community in Budapest. The letter asked that Freudiger continue the negotiations with Wisliceny. Freudiger knew of Wisliceny and the negotiations between him and the “WG”, because the money for the Slovak rescue was sent by the orthodox community in Budapest. Although Wisliceny always worked under Eichmann - since Slovakia - now it was different. Now he was working under Eichmann, in Eichmann‘s presence, whereas in Slovakia Eichmann wasn’t there. Freudiger at first met with Wisliceny on a personal matter on March 22nd, to help his brother who was arrested by the S.S. 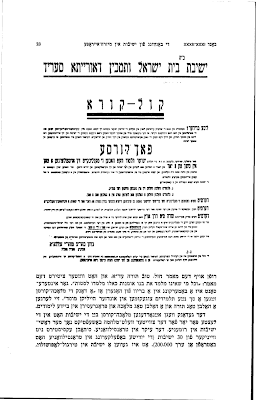 He went to speak to Wisliceny to see if he will be able to help him in this matter, he knew Wisliceny was in command, because of a meeting Wisliceny held with the leaders of the various Jewish communities on March 20th, upon Wisliceny’s arrival in Hungary. 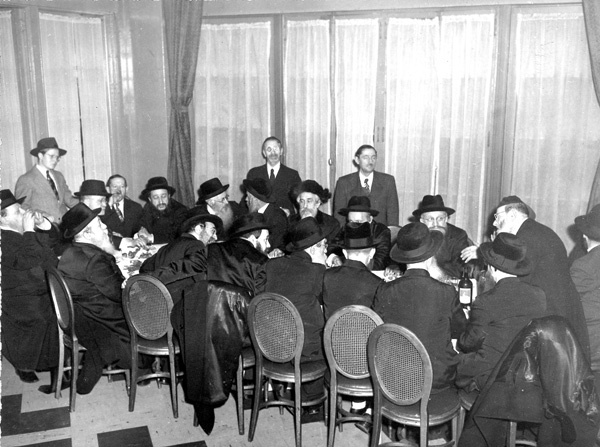 At that meeting Wisliceny informed the leaders that he will from that day on be in charge of the Jewish affairs. When Freudiger met with Wisliceny to try to help his brother, Wisliceny told him that he wanted to meet him on a personal matter, and that he has something to discuss with him. The meeting took place a few days later. At this meeting Wisliceny gave Freudiger the letter from RMD, - asking Freudiger to continue the negotiations on the Europe plan - and asked him if it was "OK" from his side. Freudiger replied in the affirmative, and Wisliceny told him that he will be in touch. About four weeks later, in April, Wisliceny started to negotiate with a new group of people about the “Europa Plan.” This group was “The Aid and Rescue Committee, the Vaada” (henceforward referred to as “ARC”), and was headed by Kastner. The negotiations with this second group, started with continuing with the “Europe plan”. It evolved into “blood for money” “blood for goods”, blood for trucks”, (not necessarily in this order) and ended up with the train into Switzerland. Why Wisliceny changed who to negotiate with, is complicated. One thing seems to be clear; Eichmann lost some trust in Wisliceny and his negotiations with the “WG”, and instructed him to work with the “ARC”, instead of the “WG”. The reasons for this vary from: “Eichmann thought that the “ARC” was more able”, to “Freudiger and the “WG” was sabotaged and forced out” and everything in-between. Whatever the reason, the fact remains. The initiative to negotiate with the Nazis, the connections to them, the act of gaining their trust, and Vice versa that Nazis should trust the Jews, were all done, by the “WG”, and not by the “ARC”. All Kastner and his group did, was “ride on the coattails” of the “WG”, (and by some accounts they even ruined the ability for a bigger rescue, but that’s a separate issue which I much rather not discuss, for Kastner’s sake, as stated above). Moreover, even after Kastner officially took over the negations, Freudiger was still in contact with Wisliceny, and was still deeply involved in the negations. Not only was Freudiger still active behind the scenes, so was RMD. It seems that Wisliceny - who was the de facto negotiator - still preferred the “WG” over the “ARC” and since both Wisliceny and Eichmann worked for Heinrich Himmler, he tried to keep the “WG” in the picture the entire time, and it seems that Himmler was OK with this, even though Eichmann preferred the “ARC”. One of the best documented examples is the following, in July 1945 after the rescue attempt by the “ARC” (involving sending Joel Brand to turkey) blow up, because it was made public in the media, (this BTW was the reason RMD didn’t want to go the “ARC” route) Freudiger was called by Wisliceny for the last time, he informed him that he was in Slovakia by RMD, and that RMD said that he (Freudiger) already has acquired 250 trucks for immediate delivery to the Germans. Freudiger of course didn’t have it but he confirmed it with the hope for a miracle, and this ultimately was what brought the Germans back to the table after the brand fiasco, which made possible the train to Switzerland. (although RMD was against the “ARC” route, after the fact, he still tried to convince Wisliceny, that the media reports albeit it posed a problem for the Germans, it still proofs that the Jews are really ready to deliver the trucks in exchange for the rescue, and although the official mission by Brand collapsed because the Allies couldn’t let it go through, and it got Germany ashamed, Freudiger could still deliver unofficially through Switzerland). Other negations were also going on between Freudiger and Wisliceny, but they are numerous and too long to discuss in the current article. So this is what I’m coming to: even though the front man was Kastner and the “ARC,” at least in the eyes of Eichmann, behind the scenes, and as far as Wisliceny and Himmler were concerned, the “WG” was fully involved, and Wisliceny kept going back to RMD to make sure that things were in order. So how can someone in their right mind claim that the Zionist rescued the Rebbe, moreover how can someone even say the Rebbe was rescued by Kastner? All Kastner did was he pushed himself to the front, elbowed out Freudiger, took over a finished deal, (and this is at the best case scenario) why give him the credit? So no!! The Rebbe wasn’t rescued by the Zionist!! The Rebbe wasn’t rescued by Kastner, The Rebbe was rescued by “The Working Group”!! By Rabbi Michael Dov Weissmandel, and by Rabbi Pinchas Freudiger!! and of course they were only the emissaries from the almighty!! So this should be obvious, why give credit to a “Pawn”, when we have a “king” and “queen”!!! And BTW, all those who thought that because the Rebbe was rescued by the Zionist, the Rebbe owed a debt of gratitude to them, and should’ve changed his position on Zionism, why not take it both ways? Why not demand Kastner and his buddies, become Anti-Zionist, since they were rescued by RMD who was the ultimate Anti-Zionist!!! Another small tidbit, one of the things that may have had an impact on Kastner’s decision to include the Rebbe in the transport, is the dream (the one of Kastner's father-in-law, Dr. Fischer, who the Rebbe’s supports believe had a dream, in which he was told that if the Rebbe was not in the list, the entire rescue would not be successful) whether you believe the dream or not, it’s an obvious mystery as to why Kastner included the Rebbe in the transport.The train consisted of more-less the Zionist leadership, Kastner’s family, and people from Cluj - Kastner’s hometown -. The rest were people who paid a lot of money to get “tickets” on the transport. This money was the ransom for Eichmann to let the train go. There were people fighting for a chance to get on the train, people fighting to pay, why take the biggest enemy to Zionism to freedom? Why did he take the Rebbe? One explanation could be the dream. It makes sense Dr. Fisher was a powerful man, a head of the community in Cluj, and we know Kastner had a soft spot for the people of Cluj, so maybe his father-in-law convinced him! If you prefer not to believe the dream, then maybe it was the orthodox community, who provided most of the money for the transport buy buying the majority of tickets. Maybe they pressured him to take the Rebbe or else they won’t pay! You can build whatever case suits your thinking, the fact still has to be that an outside power convinced Kastner to take the Rebbe. So again even if the transport was “his” rescue – which as stated above, it wasn’t- “the particular rescue of the Rebbe was defiantly not his idea at all. He probably just “held his nose, and went with the program,” because he had no choice!! Another thing worth mentioning is the fact that the train which was paid to go straight to Switzerland didn’t do so. In fact it was stopped in several locations, once even for a couple of months, because the Nazis asked for more money. The money couldn’t be collected from the Zionist organizations – like the joint – Because “they couldn’t do a thing like that, give money to the enemy? This was illegal! !” (This would’ve been funny, if it wasn’t so tragic. So again the “orthodox Jews” had to cough up the money, in order for the transport to continue. How can anyone with a straight mind, even think about giving credit to the Zionist or to Kastner?!! For anyone who has been following Jewish developments on internet blogs and Facebook pages, it should come as no surprise that there are numerous opportunities for one to gather first-person information and insight into the current realities facing the present and future of our communities. The number of individuals who have opted out of Yiddishkeit is ever-growing, and they have a viable support network and are vocal about their experiences, thoughts and feelings. For those who are interested, the personal experiences that they share are an excellent resource, a virtual text-book, for what not to do if you are a parent facing a son or daughter that has developed – as normal adolescents generally do – a desire to experiment and seek out their individuality and wish to find their own way. I’m not a Rabbi, family counselor or social worker, but I can observe developments as they happen. The fact is that we need to keep sight of our goals as parents, and, yes, that can be easier said than done. I can’t stress enough that our job description and goal is not to create robots or clones, rather, we should be trying to develop mentally and emotionally healthy, decent, productive members of society. Unfortunately, our yeshivos and communities often run counter to that effort, and this creates the other half of the problem. So, to state the problem simply: 1) Us as parents 2) Educators and communities. Why do I say these are problems? Read or listen to what the no-longer-on-the-derech individuals say, and weep. Here’s our scenario: A student feels stifled, unhappy, interested in other things than those which they are forced to be engaged in – this is normal behavior and I imagine that most of us have felt that at some point and maybe still do – and perhaps they question information that they have been given by us parents or their teachers. This simple and normal situation develops – sometimes slowly and sometimes quickly – and places the student in an adversarial relationship between themselves and those who seek to instruct them. The next move by the instructors is what will determine how this story will end, and, more often than not, it ends badly for the instructors: 1) Because they misplay their side of the chess match, and 2) Because they are at an inherent disadvantage that they refuse to recognize. I’ll start with the second first because it’s the more interesting element. It is a simple fact of life that in any relationship, the side with less invested in the outcome has more power. If I have less to lose, I am freer to act as I wish, or as they say “I’m playing with the house’s money,” while if I need there to be a specific outcome, I am at an extreme disadvantage – thus, us dads, moms, teachers and rabbis, we must know that we are automatically “behind the eight ball.” Know this first before you act – you have been warned. Your son, daughter or student does not need a specific outcome – you do – and they are the ones who will determine what the outcome will be. They have the power; you had better act cautiously and thoughtfully. Which brings us to the first element I mentioned before: your next move is crucial, don’t blow it – you might not get a chance to fix it later. 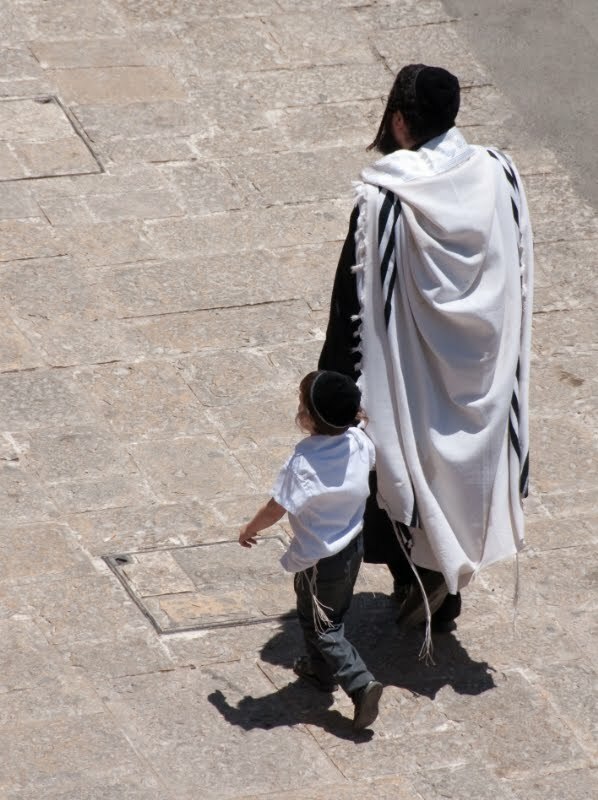 When you said “Baruch Shepitarani” at your boy’s Bar-Mitzvah, it wasn’t just a nice ritual that occurs when you dump more responsibility and guilt trips on the kid – it’s a statement of fact: you are now less responsible. You must now begin to step away from the situation and mutate from instructor to his assistant and guidance counselor. Yes, that means you must begin to disinvest and allow the next generation to find their way. You love them (I would certainly hope), but they aren’t you, they are they. Help them, encourage them, advise them to the best of your ability, but we had better not fall into the lectures, the anger, the insults, the ultimatums and all those emotionally charged reactions to signs that they may be rejecting our beliefs. They are the ones in power here, not you and not me. If you play it wrong, you are virtually guaranteed to lose. Period. If you play it right, there’s no telling what the final result will be, but it will be healthier and happier, and we elders will learn something in the process…and that’s more in-line with our job description. It's weird if you ask me. Why not just change what we do, instead of revising the words of the Holy Chasam Sofer? Which is what ultimately happened - as far as I know. 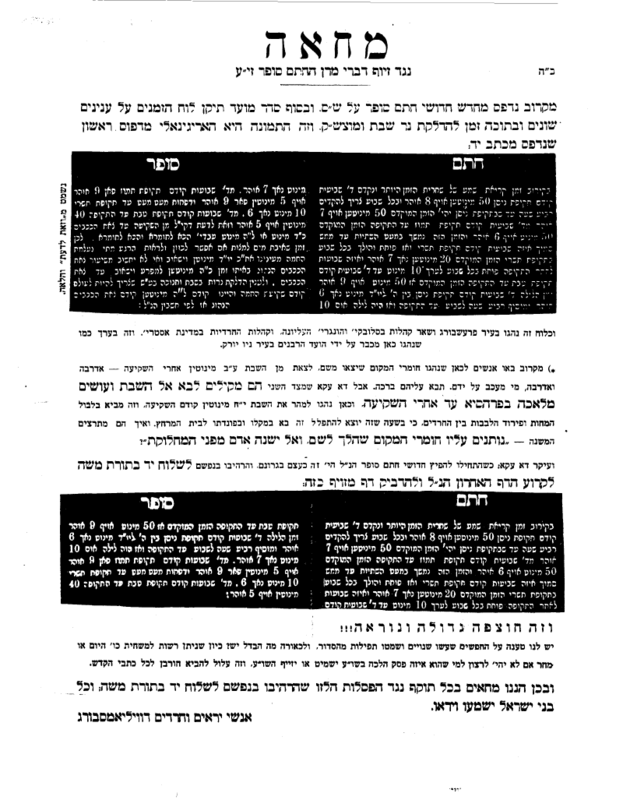 Most people of that persuasion, the persuasion of those who tinkered with the loshon of the Chasam Sofer, do not openly do melachos after the shkiah these days, despite the fact that they're fans of Rabbeinu Tam. And despite the fact that in Europe they would. That was changed in America post-WW2. 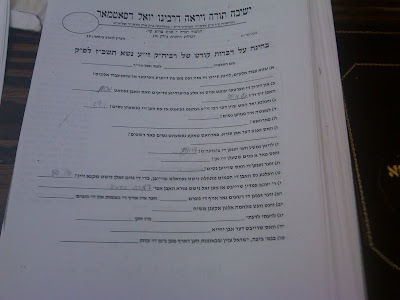 They use it at times when a leniency is needed, just like a Lubavitcher often davens mincha post-shkiah, or a Yeshivaman davens shachris after zman tfilloh during bein haZmanim or Chol Hamoed. But I don't think they still do melachos regularly just because they feel like they can. So why then change the text and make yourself צו נאר? 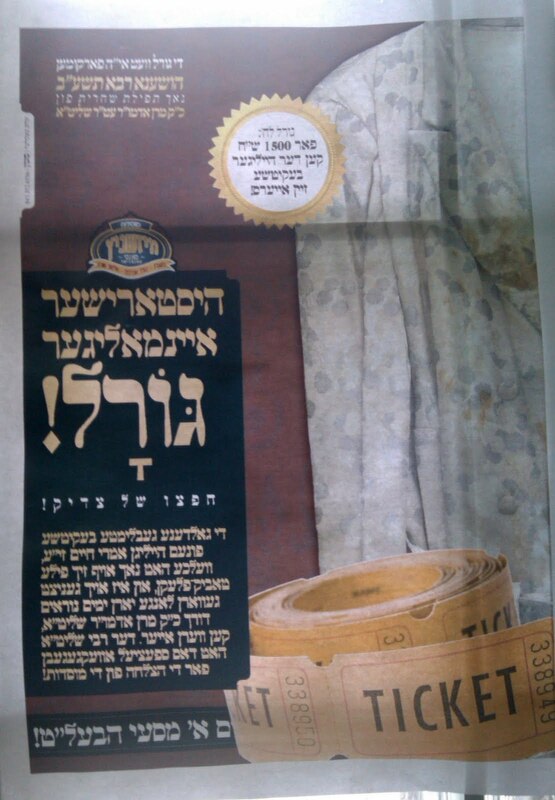 The מו"ל here was the Debrecener Rov, zt"l, a champion of the derech HaChasam Sofer, who seemingly was forced to censor. Why do we go so far as to say he was forced? Only because that's the only logical reason why he would do it. He himself would never conduct himself with a leniency such as using the Shitas Rabbeinu Tam לקולא, even if the situation called for it. And he would surely never censor his holy Zeide's words. So that's the only reason. 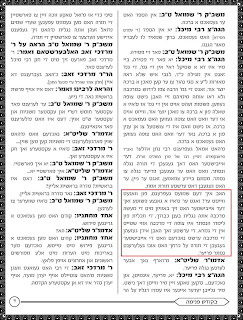 "This Rav (or Rebbe) is R' Moshe Shmiel Halevi Rottenberg z"l. He is the son of R' Chaim Shlomo Halevi Rottenberg Z"l (known as the "Shmua Tova") the 2nd Kosoner Rebbe, son of R' Yehosef Zt"l (aka "B'nei Shileishim") the 1st Koson'er Rebbe. R' Moshe Shmuel lived in Debrecen, Hungary up to 1940, when he saw what's looming ahead. He then wrote to his cousin R' Pinches Sholom Halevi who already was in the States for almost 20 years, who then arranged the papers for him, and he then arrived to the United States. He later moved to Eretz Yisroel, where he settled in Bnei Brak and opened a shtiebel there. he was nifter in Bnei Brak in 1974. He left 4 sons. the oldest was R' Osher who was the Koson'er Rebbe of 9th ave (9th Ave cor 50 St. in BP) He was nifter about 1 year ago at age 95. 2nd son was R' Chaim Shlomo the Kozever Rebbe who lived his last few years in the Forshay area of Monsey (was succeeded by his son in law Reb Chaim Leibish Rottenberg). 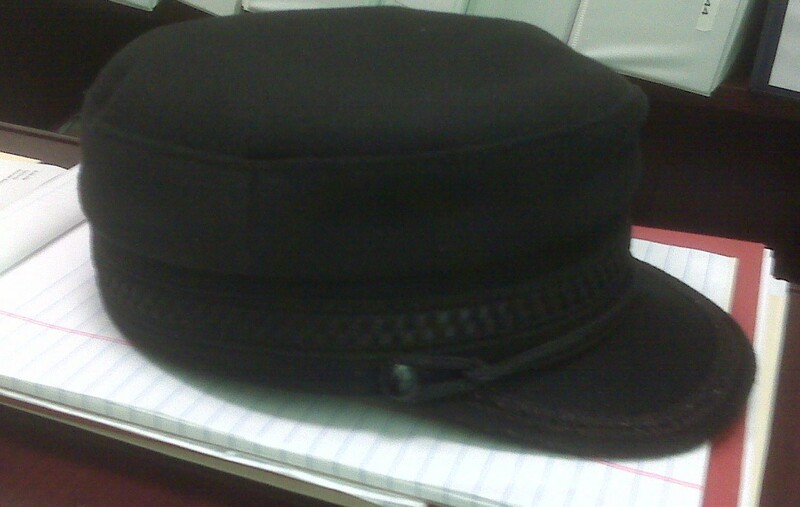 3rd son was R' Mordechai the Salker Rov of Williamsburg. 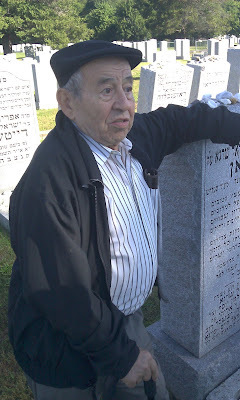 He was killed in a car accident in 1990 at the age of 65. his son is R' Yakov the Salka Rov of Monsey (60 Francis Pl.) The youngest son is R' Mechel, shlita of BP. He is not a Rov nor a Rebbe, and his children are Bobover Chasidim. Reb Moshe Shmiel was a nephew and brother in law or the Kosoner Rebbe, the "ohr moleh" z"l hy"d. R' Yisroel Tzvi (the "Ohr Moleh")was the younger brother of his father R' Chaim Shlomo, and he also married (twice) the daughter of this brother. So this made the ohr moleh an uncle and brother in law to this R' Moshe Shmiel. I Hope that gives you the info you needed. if not please contact me again." Behind the Kossoner Rebbe one can see R' Avrohom Yehoshua Heschel of Kopycznitz, who was an uncle of the chosson, according to the mazkir. "a picture of the late Rebbe’s tisch at the chasunoh of his son R’ Nuchem (the present Rebbe’s father) – there are many Rebbes there who are all cousins – in answer to one comment, it was not the norm back then for cousins who were not father/son/brother to wear shtreimelach at a relative’s simchah like it has become today;"
"Note the picture of the Kallah, the present Rebbe’s late mother, coming to visit and sit with the Rebbes at their table, something that was certainly accepted back then but has been erased today with revisionism)"
At the wedding: Second from right is Reb Menachem Nachum Yosef Twersky of Loyev-Miripol who lived in Chelsea, Massachusetts. 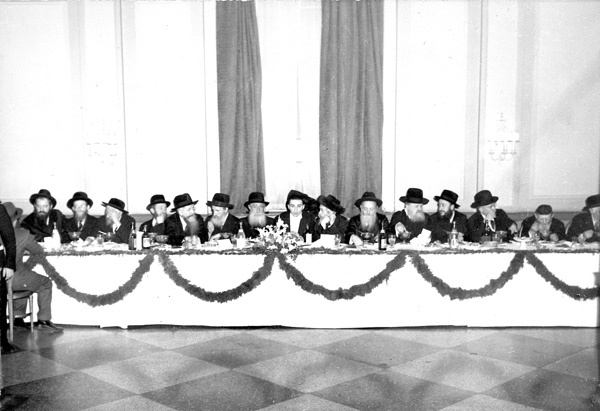 Second left is Reb Mendelle Chodorov. He was a BIL of the Vishever Rov, Reb Mendelle Hager, who was a SIL by his father, Reb Mottele Chodorov of Tolne-Vizhnitz. 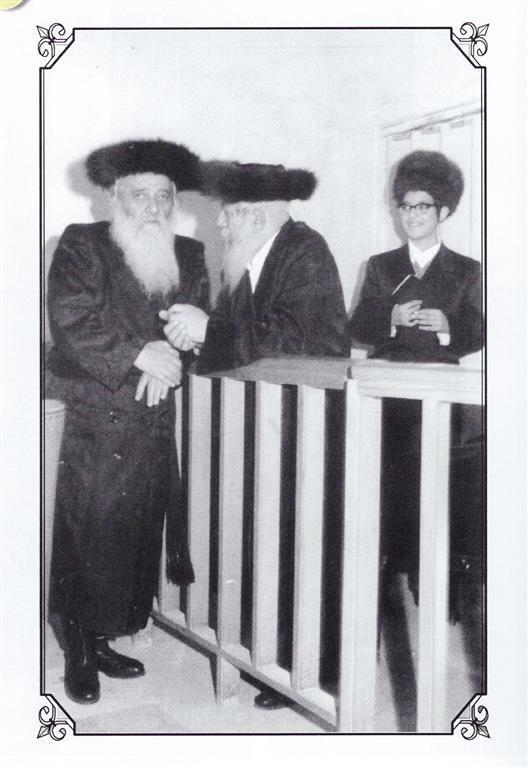 Reb Mottele was a SIL of the Imrei Boruch of Vizhnitz, father of the "Ahavas Yisroel." 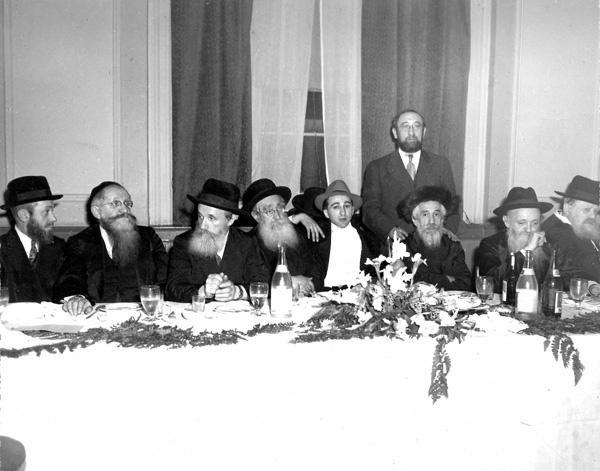 3rd left is (IIRC) The Skverrer Rebbe of the Bronx, and later in Tel-Aviv, Reb Itzikel Twersky, a cousin of Reb Yaakov Yosef. Flanking the Chosson are his father, with shtreimel, and Reb Moshe'le Schneerson-Twersky (Kaydanov-Tomashpol) of Crown Heights. Behind The Zhviller Rebbe is his son, Rabbi Boruch Korff, IIRC. Since the question came up we should tell that when The Rebbe married Sumner Redstone’s daughter she was frum, shomer Shabbos, kashrus, etc. and Mr. Redstone, who was not frum, even koshered his home out of respect and even to this day keeps a kosher kitchen for the three grandchildren, who all went to yeshiva and remain frum, a daughter and two sons, one of whom went to Mir and is now in law school and learning at Chaim Berlin. The Rebbe did agree to work with Mr. Redstone at his request in various businesses, and was very successful, and also continued as a rav in congregations at the same time. When the divorce came, partly because Mr. Redstone’s daughter became less frum not because The Rebbe became more frum, the fact is that The Rebbe unfortunately left with much less money than he had going in, in the divorce agreement giving up almost everything he had earned in return for the children to be kept in Yeshiva and a frum environment. Boruch HaShem The Rebbe has been successful at rebuilding since then. 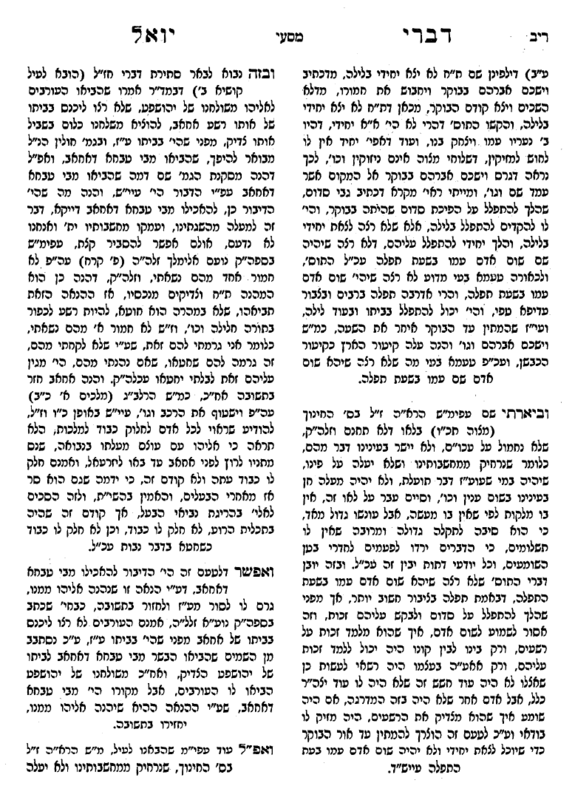 Going back to the Chassidus; none of the late Rebbe’s sons felt worthy to be memalei mekomo, but all three wanted R’ Yitzchok Aaron to accept that, and there is a chumash from the late Rebbe that was later discovered and names R’ Yitzchok Aaron as being mamshich. One uncle, R’ Shmuel Yitzchok, was not successful at convincing him to move from Rav to Rebbe, but The Rebbe took over his position as Chaplain of the City of Boston when he passed away in 1974. But the other uncle, R’ Boruch Korff, was diagnosed with cancer shortly after the divorce from Redstone’s daughter and was successful, with the help of many other Rebbes in the family who called to get R’ Yitzchok Aaron to accept being Rebbe. The shidduch with the Shomrei Emunim’s daughter was made by the Skolier Rebbe. 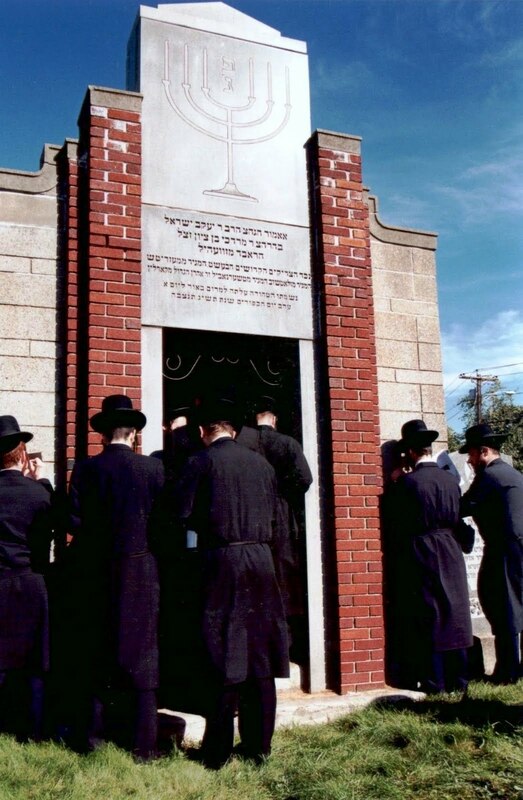 The Shomrei Emunim Rebbe did not go to the chasunah because it was in America and he doesn’t go to America, but the Shomrei Emunim Rebbetzin (who was the daughter of R’ Mordechai, the Zvhiler Rebbe of Yerushalayim, and a great granddaughter of R’ Shlomke Zvhiller, and a third cousin to R’ Yitzchok Aaron) did come to Boston for the chasunoh. 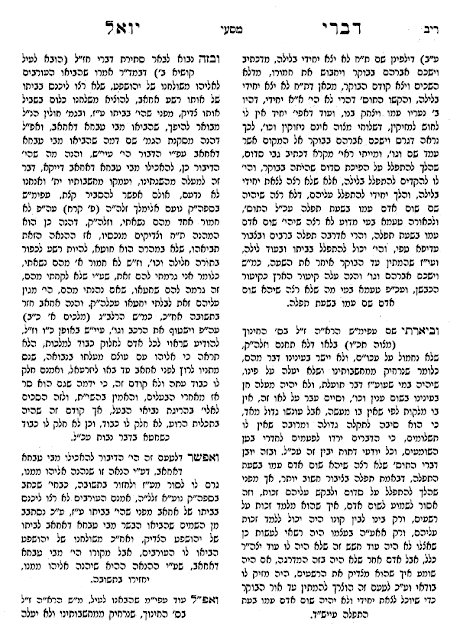 And by the way, more on the question of how The Rebbe grew up and the frumkeit, after learning at Chaim Berlin he learned in Eretz Yisroel and received smicha at the age of 21 from the Zvhiler Rebbe, R’ Mordechai, and as it turned out twenty years later ended up marrying R’ Mordechai’s granddaughter, who is his present Rebbetzin. The Shomrei Emunim Rebbe accepts them and the grandchildren, but there is a lot of politics there and they aren’t following Shomrei Emunim hanhogos and chumros so people make a big deal out it. Some chasidim like to make stories and make splits, but the children are also close to the Shomrei Emunim Rav (the Shomrei Emunim Rebbe’s oldest son) who visits them and they visit him, and when the Shomrei Emunim Rebbetzin was niftar last year the children walked with the family and chassidim behind the Aron and The Zvhil-Mezbuz Rebbetzin sat in her home in Yerushalayim and many of the chasidim and cousins came. By the way, the comment was correct about a daughter of the Shomrei Emunim Rebbe going to the Lubavitcher Rebbe and refusing to take the dollar. It wasn’t The Rebbetzin (who also went) but one of her sisters, and the reason wasn’t disrespect, but because they were raised that men and women don’t hand things to each other. - and a picture of the late Rebbe that is almost identical to how the present Rebbe looks. The bottom line though going back to your original posting is that we all mourn the assimilation and problems that are found in every Chassidic dynasty in every generation since the Baal Shem Tov. But as The Rebbe explains there is a strength and reassurance in the yichus that always brings einiklach back, and we pray that any yeridah is for the sake of aliyah and we know that whatever agmas nefesh the late Rebbe suffered he is having much nachas now from his grandson and great grandchildren. I hope you find this useful and clearing up all of the confusion. If there is something we haven’t answered let me know and I will try to help. Your blog was recently brought to our attention by someone who told our Rebbe about it and The Rebbe gave me permission to look at it and get in touch to correct some errors in two entries (Saga of an American Rebbe Part I and Part II). 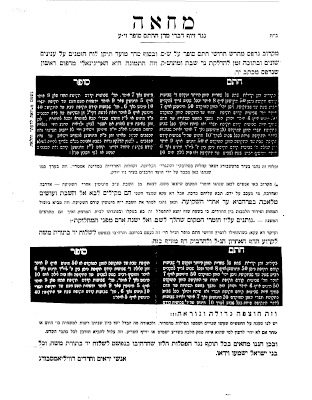 We ordinarily are told to just ignore these sorts of things, but The Rebbe was impressed with your blog as being very honest at trying to avoid loshon hora and present only the emes, so I thought I should fill in some blanks and that you would like some clarifications and answers to some of the questions that were raised in the comments. We can see that the mistakes come from Mr. Gass’ website – unfortunately, as you saw clearly and commented in your blog at the beginning, Mr. Gass knows absolutely nothing at all about the chasidishe/rebbeishe side of the family and even gets many of the basic facts wrong. I know that his own mother would be very upset at the inaccuracies and other mistakes he has on the website which are simply wrong and very misleading. Turning to the facts; the late Rebbe, consistent with his yerushah from the Baal Shem Tov, was at the same time traditional, carefully following the family minhogim and hanhogos at home (he didn’t even allow ‘goyish’, meaning English, to be spoken in his home on Shabbos) but also accepting and welcoming of every Jew even though he did not always approve of their lifestyle or conduct. You are right that he must have had much agmas nefesh from some in his own family, but he focused more on his three sons who were all Rabbonim with Orthodox congregations – Rabbi Shmuel Yitzchok Korff (Cong. 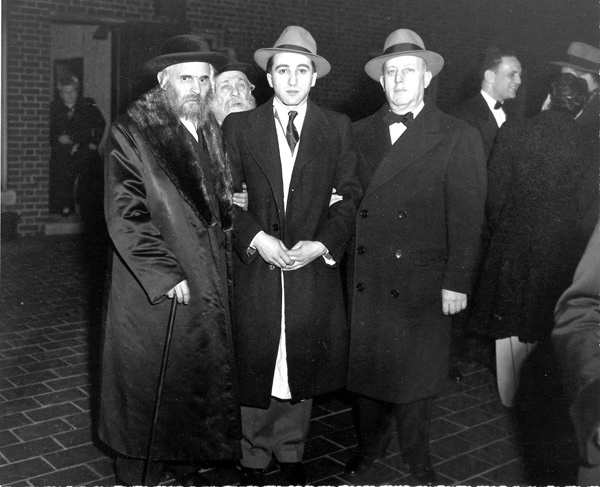 Kehillath Jacob and also head of Boston’s Beis Din, Vaad HaRabbonim and Kashrus Commission), Rabbi Boruch Korff (Adath Jacob and known as Nixon’s Rabbi), and Rabbi Menachem Nuchem Korff (Cong. Bnai Jacob, the present Rebbe’s father). He accepted, probably reluctantly but realistically, that in America to relate to the community his sons would be clean-shaven and speak English. The late Rebbe was born in the Baal Shem Tov’s home in Mezhibuz to his father R’ Mordechai, who was the last Mezhibuzer Rebbe, and then married the daughter of the Zvhiller Rebbe, R’ Michel, who was R’ Shlomke’s older brother. R’ Michel moved to Koritz and turned over the Rebistive to his new son-in-law, who was both Rav and Rebbe. He and R’ Shlomke were very close, and stayed in close contact after The Rebbe moved to Boston and R’ Shlomke went to Yerushalayem. The late Zvil-Mezbuz Rebbe (R’ Yaakov Yisroel) was a big talmid chochum, an ilui who received smicha when he was just a Bar Mitzvah from the Ba’al Oruch Hashulchan. He was one of the first Rebbes in America, and then brought over his cousins the Skverer, the Chernobler, and others, and started the Agudas Admurim. He was respected in both chassidish and in Litvish circles - R’ Aaron Kotler used to ask him shailos. The comment on your blog about Russian chassideshe rebbes valuing education was correct. He sent two of his sons to YU, not because of YU but to learn with R’ Moshe Soloveitchik in New York. The third son, R’ Nuchem (present Rebbe’s father) he kept in Boston until his Bar Mitzvah and then sent him to live with his uncle, R’ Shlomke Zvhiller, in Yerushalayem, and after that to learn at Torah Voda’ath in New York, where he alternated staying Shabbosim between two uncles, the Boyaner and the Kapishnitzer Rebbes, then returning to Boston to be the Rav of Orthodox Shuls - first in Lawrence, and then in Milton, just outside of Boston. 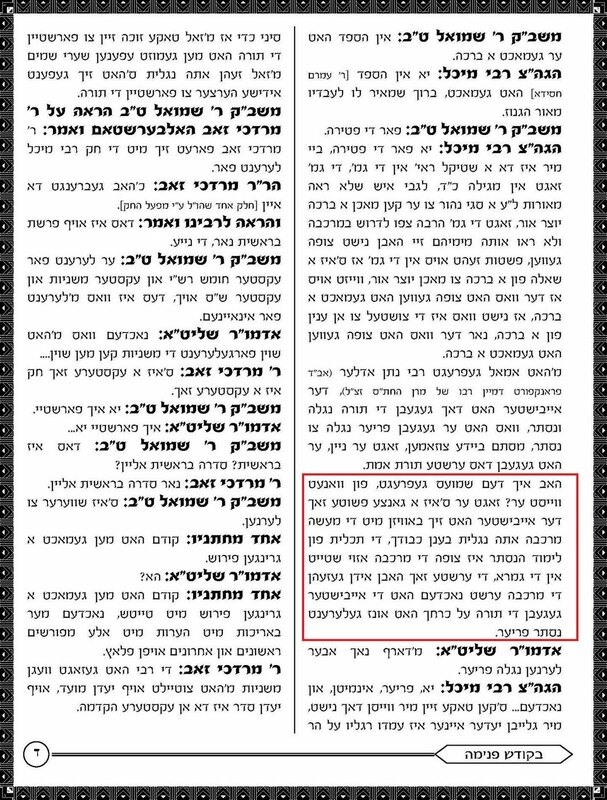 R’ Nochum raised the present Rebbe (R’ Yitzchok Aaron Korff) consistent with his father’s philosophy that a Rebbe should try to have parnossoh from other things and not from the Rebisteve or keser Torah. (The late Rebbe was supported in Russia by Czar Nicholas II who appointed him Chief Rabbi, although that also made the family a target of the Bolsheviks.) So The Rebbe was given a double education at the same time, starting at Lubavitcher Yeshiva in Boston (Rabbi Ciment, Rabbi Kastel, etc. – the Korffs are eineklach of the Mittler Rebbe – the Lubavitcher Rebbes in America were close to the late Rebbe, and Rabbi Yudel Krinsky, originally from Boston, knew the late Rebbe very well) and then learning privately, and then at Chaim Berlin, while at the same time going to Columbia University and law school and Harvard and diplomacy school. In the early years The Rebbe earned his parnossoh in law and business, while at the same time spent the years as the Rav in various shuls, including a shul that was “Conservative” but which he was able to change to Orthodox. 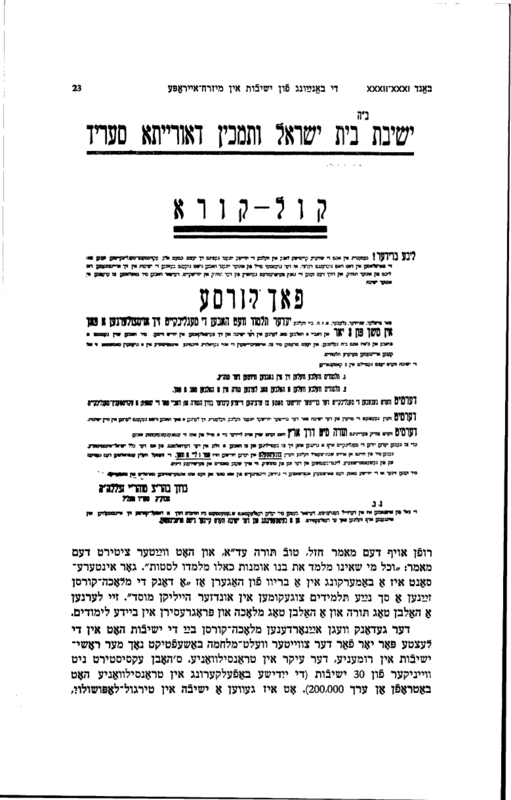 Of course being associated with freier yidden and even a “Conservative” place, and being clean-shaven at the time also led to misunderstandings about The Rebbe being frum or not, but The Rebbe never compromised his frumkeit and everyone who had anything to do with him whether in shuls or in business or in law knew it very well. Sometimes you just can't bring yourself to write, try as you may, it just doesn't happen. This is one of those times, for several reasons, some happier than others. Maybe it's because I look back and see 6 years of writing, but very little as far as effect. Whatever that's supposed to mean. As if I really thought I'd make a difference. Bear with me as I gather myself. ס'איז גוט צו זעהן אז די מערכה גייט נאך אהן מיט'ן פולן קנאק. אז דער נעקסטע דור איז גרייט ווייטער ממשיך צו זיין די מלחמת קודש. אז לא אלמן ישראל. אז דאס העפעלע ערליכע אידן וועט ווייטער אויך האבען א קיום. אז אין די חדרים לערנט מען שוין פון קינדווייז אהן די ריכטיגע השקפה. דער "בחינה" איז כמים קרה על נפש עייפה כפשוטו ממש. חשוב'ע ארונים: איר דארפט זיך נישט פילן שלעכט. לויט ווי איך פארשטיי איז די בחינה נישט פון אייער צד, נאר פון די צד שכנגד. He is a Satmarer Chossid. The Rebbe would stay in his parents' home in Sevlus before WW2 when he would visit. He's closely related to many of the knakkers in Satmar today. He remembers many of the old people from that time period, including many who are no longer with us. He remembers how they carried the Chakal Yitzchok of Spinka, הי"ד, from his house in the Ghetto, on a makeshift box with wheels, to the train that would take him to his ultimate death in Auschwitz. But he makes sure to tell you that by no means was his סעליש a Spinker town. "ער האט נאר געוואוינט דארט." He has somewhat of a different view as to what life was like back then. I met him in the cemetery last Friday where he was visiting his wife's relatives who are interred there. I was also there visiting Kivrei Avos. He may be elderly, but his shver passed away only three years ago, at the ripe old age of 96. The Shver was also from Sevlus, and came out with them at that time. The younger people there with him at the cemetery spoke Russian to each other, a testament to the re-education that the Soviets made sure to implement. He was a young lad of 14 when he returned from Auschwitz, and despite the fact that (at least some of) his brothers managed to leave Europe, he stayed behind. When he came to New York the first thing he wanted to do was to see the Satmar Rebbe, who was staying in Belle Harbor at the the time. The Rebbe had already had his stroke, and was recovering. Yossel Ashkenazi would not let him in to see the Satmar Rebbe. He told Yossel, "דיין טאטע וואלט מיך יא אריינגעלאזט", but Yossel didn't really know the people from the Old Country, or maybe he was too young to remember, so he refused him. As he's walking around the house he sees someone he thinks he recognizes from back in Sevlus and he asks him: דו ביסט נישט אפשר פלוני בן פלוני? The man looks at him and asks him the same thing, recognizing him as well, despite the many years that had passed and despite the fact that he had looked different back home. That kind gentleman took him around the back, into the kitchen and into where the Satmar Rebbe was sitting, and introduced him by name. The Rebbe asked him who's son he is, mentioning all of his zeide's children by name. He then held his hand and asked him וויזוי מ'האט זיך געפירט דארט די אלע יארען. The man answered "אזוי ווי מ'האט אונז געהייסן פון דאנעט." Because of the situation there they could not daven keep Yiddishkeit properly, he said. They would daven Shachris at 3-4am, and Mincha at 10-10:30pm. "ראש השנה אויך, און דערנאך איז מען געגאנגען אין דער ארבעט. ס'נישט געווען קיין חכמות." We spoke for a while about some other people from Sevlus, like some of the characters in the book we discussed a while back. Of course he knew them all, and concerning some people he would say " איך האב אים נאך געקענעט נאך פאר --------" or "ער האט דעמאלט נישט אויסגעזעהן ווי היינט." All with a twinkle in his eye, smiling ever so slightly, not trying to "out" anybody or anything like that, just telling it like it is, I suppose. The conversation was short but very sweet, all with the unadulterated Yiddish we all love. He's not that old, but he walks with a cane and was having difficulty standing there, leaning on his late brother's Matzeiveh, so we said goodbye before we really wanted to. A strong sense of sadness is what I feel when I look at him and remember his story. I imagine it must be really difficult living there when all of your family is in the greatest free country on earth enjoying the finer things in life, not to mention Ruchniyus too! His family also turned out to be quite different than his brothers' families, and that too probably isn't easy to stomach. I just pray that G-d grants his many more happy and healthy years. By Mordechai I. Twersky, Grandson and namesake of the late Rebbe of Azarnitz-Chotin, HY"D.
We called it "גאליציאנער שטאלץ"
what did I tell you people just last week? Read the first paragraph of this week's "העדה" and tell me if I'm not 1000% right! That was the most important thing thing to write about Baba Elazar? That he was דבוק in Rabbeinu Yoel?! And they have taynes to Lubavitch, noch?! We all see in yennem what we want to see, even if we suffer from some of the same issues, it seems.